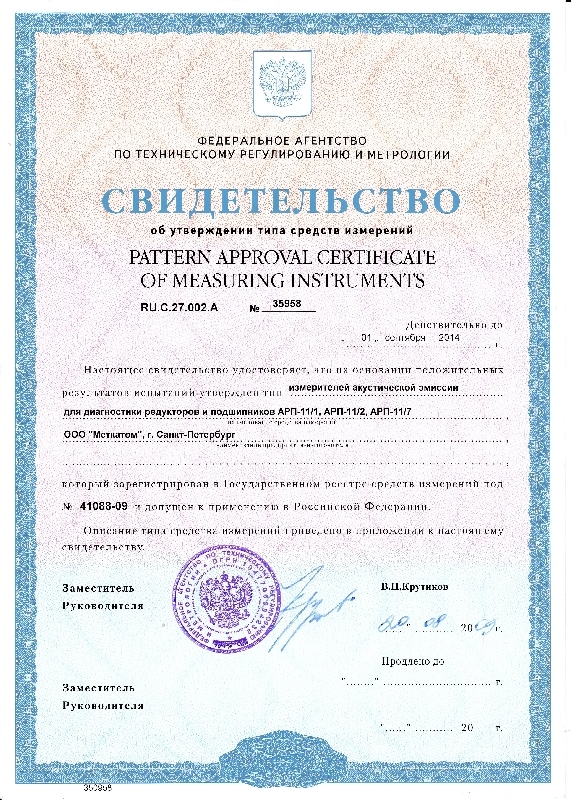 OOO METKATOM is the only enterprise in the Russian Federation that produces devices and systems based on acoustic emission technology of diagnostics of tooth gears and bearings. Detection of lubrication rate violation at an early stage, when it is still possible to preserve its performance characteristics. Earnest of success of our acoustic emissions diagnostics is units control based on the parameters that are most sensitive to changes in their technical condition, detection of defects at an early stage. OOO METKATOM program package of systems and devices is used together with an operating system of Windows type and is intended to supply the user with all the necessary technical state reports, including the resource trend. Our devices will ensure safe operation of equipment tooth gears and bearing units virtually in all fields: energetics, transport, mining, aviation, etc. 2007- 2008: development and testing of on-board diagnostics system (electric train testing). Our operational experience gives enough proof for implementation of acoustic emission technology of equipment diagnostics.